If you like this Lineage OS 14.1 ROM for Motorola Moto G, then consider a donation to jhenrique09, who is the developer of this ROM. – This TWRP recovery guide requires an unlocked bootloader on the Moto G (falcon). Download and Copy the Nougat GApps, Resurrection Remix Nougat for Moto G ZIP to the phone. First flash the Moto G RR Nougat ROM ZIP from device. 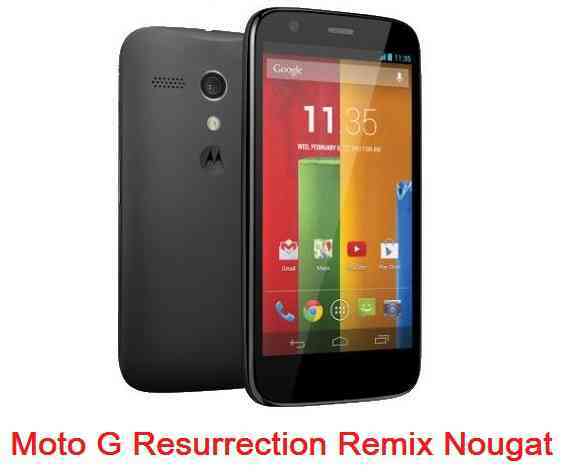 Reboot and Enjoy the Resurrection Remix Nougat for Moto G.
Copy the Resurrection Remix Nougat for Moto G ROM ZIP file to your phone. Flash the latest Resurrection Remix Nougat for Moto G from your phone. Stay tuned or Subscribe to the Moto G (falcon) forum For other Android Nougat ROMs, CyanogenMod 14 ROMs, other ROMs and all other device specific topics.